Over the weekend I toured seven art galleries in NYC’s Chelsea neighborhood, which, if you’ve ever spent much time walking through you know is filled with an array of galleries for your perusal. In fact, during the tour I learned there are 300 galleries in Chelsea alone, and about 600 in NYC. At the Gana Art Gallery is an exhibit featuring emerging artist In Sook Kim. 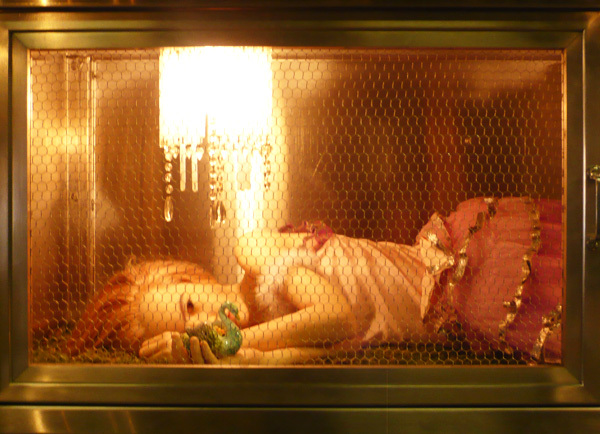 Her work featured more violent and sexualized images than one might imagine for a South Korean artist. She works in digital photography, and the above image is a composite that took three years to create. 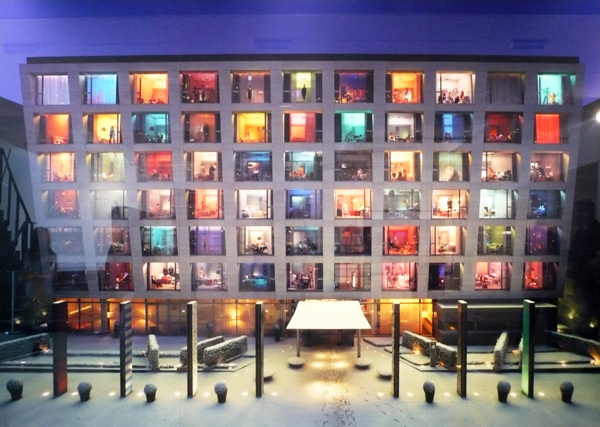 The artist photographed the outside this hotel, I believe in Germany, and then photographed each of the rooms. 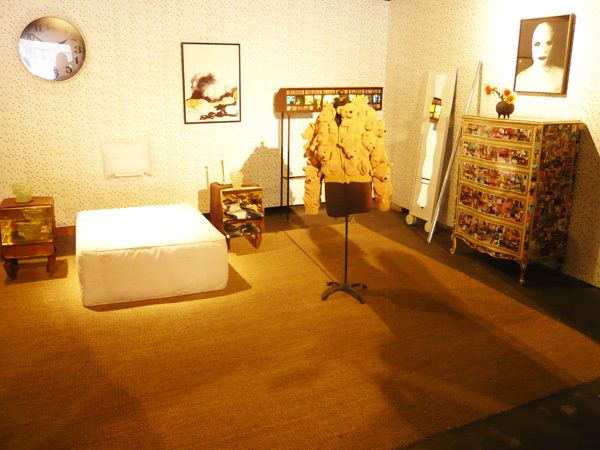 She then recreated each room in her studio but added people in, creating specific scenes for the piece. These were all combined to create the composite that is on display. Much of her work in this exhibit is centered on the theme of how women are treated in society by men, as objects rather than as equal individuals. Joel Shapiro, already well established in the art world, has a new exhibit at The Pace Gallery. His was probably the most controversial work I saw on the tour, in so far as it sparked a debate about what exactly is art? It was a group tour so conversation was encouraged, and several people commented on this work that it seemed like something anyone could do. 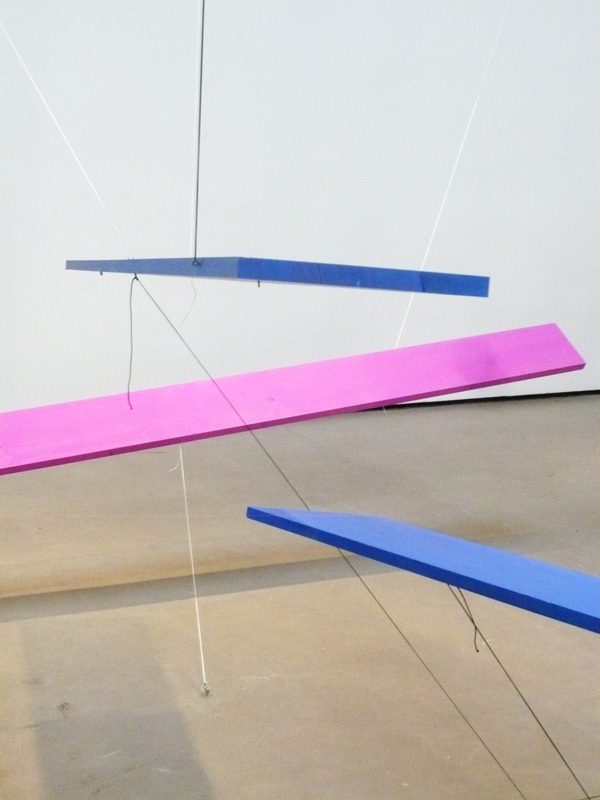 True, the work seemed quite simple, painted plywood suspended within the gallery space by strings. Doesn’t seem too difficult does it? The question, however, is this: would you do it? would you think of this and create it? Obviously not, since no one else did except for Joel Shapiro. The fact of the matter is, a lot of things can be called art, it’s more a matter of thinking of it and creating it before anyone else does. 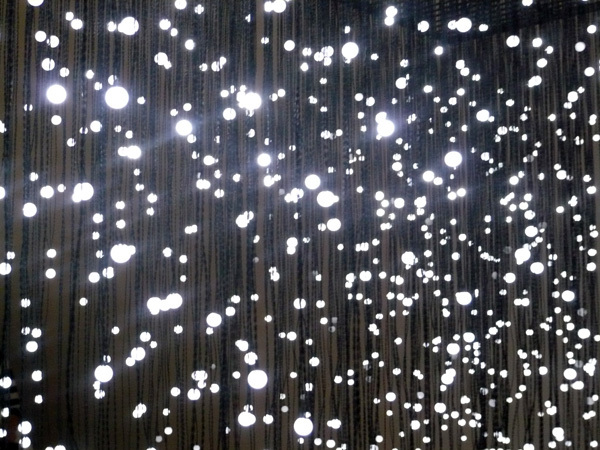 Some of the most technologically advanced artwork was by artist Jim Campbell. His work consisted of a combination of video as well as still photography supplemented with video. However, in a very different way than you’ve probably seen before. Campbell breaks down video that he shoots, via a computer program, into LED output which shows behind a still photograph or as in my close-up photo, is displayed on suspended strings of LED lights. If you stand back from the lights, what you’ll see is the lights flickering on and off in such a way that you see what was shot in video. 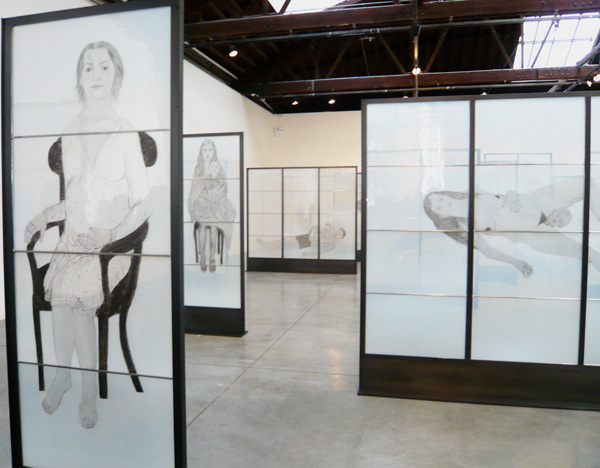 Back at The Pace Gallery artist Kiki Smith’s work of stained-glass panels depicted various stages in a woman’s life. Interesting work and it’s already been sold though the gallery won’t say to who or for how much. The above photo was taken in a random garage-like “gallery” that I just happened to walk by after my actual tour was done. The teddy bear jacket totally reminds me of Gaga. This was just sort of creepy. Anyway, if you find yourself around Chelsea with nothing much to do sometime you may consider stopping into a few galleries. Not a bad way to spend an afternoon. 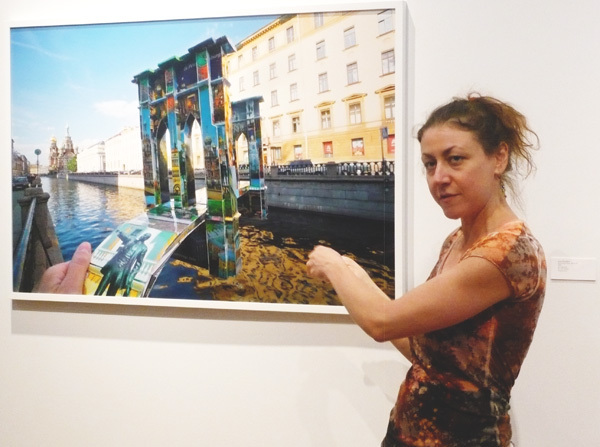 This entry was posted in art, design, photography and tagged art, Asya Reznikov, Chelsea, gallery, In Sook Kim, Jim Campbell, Joel Shapiro, Kiki Smith, Nancy Hoffman Gallery, New York, NY Gallery Tours, NYC, The Pace Gallery. Bookmark the permalink.